The Night Visitor is a psychological thriller about the complex relationship between two women. Olivia Sweetman is a popular TV historian who wants to write a book about Annabel Burley, one of Britain's first female doctors, aided by a diary that belongs an aristocratic family now reduced to a single elderly woman living in a nursing home. Vivian Tester, a former academic who acts as Lady Burley's housekeeper, gives Olivia access to the diary and agrees to act as her researcher. Vivian is a difficult woman - uncompromising, judgmental and lacking in social skills. But for all that, she's a diligent researcher, and Olivia's access to the Burley family house and archives depends on her. Without Vivian, Olivia won't be able to write the book that could rescue her own family from serious debts, so she's prepared to put up with her for as long as she can make use of her. But when the book is complete, it seems that Vivian isn't ready to give up their uneasy partnership. 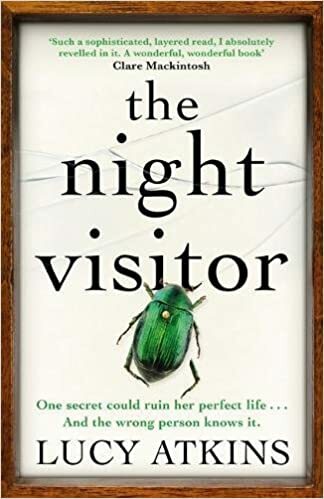 We see both points of view in The Night Visitor, with Vivian's narrative in the first person and Olivia's in the third. What works particularly well is the opportunity to see Olivia through Vivian's eyes, and it does help us to understand what it is about the otherwise personable Olivia that Vivian finds worthy of disdain; indeed, there are times when we might even agree with her. The sections told from Olivia's point of view also help us to understand some of her more questionable decisions (of which she makes plenty) with a little more sympathy, too. There are strong echoes of Notes On A Scandal here, with Vivian cast as the bitter, obsessive loner and Olivia the popular and pretty but somewhat self-centred victim. However, the characterisation here is much less subtle. After Vivian has already told us that she doesn't like eye contact, doesn't like to be touched, is obsessive in her interests, finds social interaction difficult and doesn't know when she is or isn't boring people when she talks at length about her favourite topics, we still have Olivia telling us that Vivian is 'on some spectrum or other', which I found infuriating - apart from the 'person on the autistic spectrum is a creepy weirdo' being a tiresome trope, a bit more room for ambiguity would be welcome. We don't need this sort of thing spelled out. Also unsubtle are the clues to what's coming next. In a genre that's as heavily reliant on twists and uncertainty as so-called 'domestic noir', it doesn't really do to flag up plot developments so obviously: I can't quote examples without giving away spoilers, but I will say that nothing here felt like any sort of revelation and as such I found this novel disappointingly predictable. Atkins does, however, excel at creating atmosphere. There is an almost palpable unease in the interactions between Vivian and Olivia and much of the novel's tension stems from this rather than its plot. 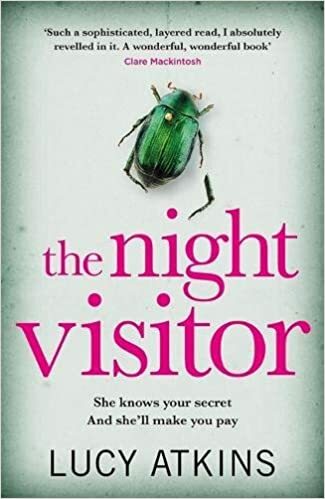 Also enjoyable are the gothic influences which begin to creep into the story - a strange incident in a stone priest's tower, Vivian's own 'night visitor' who comes to her in her dreams, the women alone in an old and (literally) crumbling house. I'd like to see Lucy Atkins branch out of psychological thrillers and try a period ghost story.